Click on the poster to view a larger version. 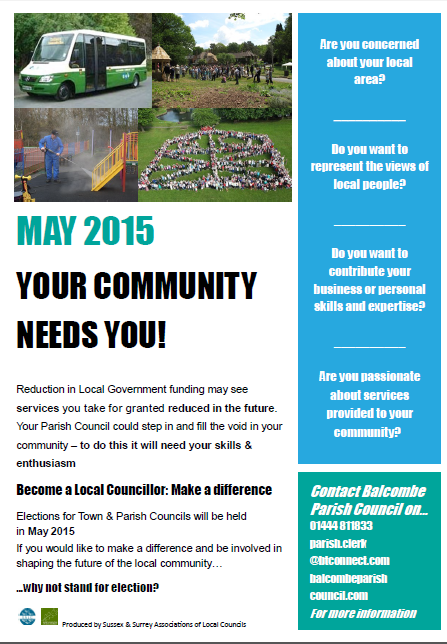 Have you ever thought about helping the community and becoming a councillor yourself? Please click on the link below to see information on Balcombe Parish Council and the various working groups. Here are three useful documents to download which give more information.